Are you living beyond your means or not? This simply means you are spending more than what you are earning. If you cannot answer this question, then you need to make time to analyze your financial situation. Regardless if the answer is yes or no, your inability to answer the question tells a lot about your knowledge of your financial position. You cannot go a long time without knowing your finances because you will be in danger of making the wrong decision about your life. We all know that it can take only one mistake to put your finances in danger. Do not leave everything to chance – at least, not if you can help it. If your answer is no, then you are in a great financial position. Your ability to answer means you know your finances and you are making the right choices about it. Your expenses are below your income and that leaves you with enough room for savings, investments, or more entertainment money. This is a good sign that you are handling your finances really well. If you find yourself spending more than last year, you might be part of what WSJ.com shared where consumer expenditure went up in 2014-2015 from 2013-2014. Though part of the survey revealed that average income also was on an upswing by about 6.6%, this can also be attributed to financial management as well as lifestyle inflation. Lifestyle upgrade or inflation remains to be one of the things you need to keep an eye out for when you are guarding against living beyond your means. Here are warning signs that should tell you that your lifestyle is about to put your finances in danger. Not having enough to cover emergencies. You are spending to live in the moment without any regard for future needs. What this can lead to is an utter disregard for the need to have reserve funds. This can prove to be devastating when financial emergencies knock on your door. Your reserve funds consist of your emergency money as well as rainy-day fund that should cover everything from big emergencies to small needs. If you find out that you do not have enough to cover financial emergencies in your life, you might be living beyond your means. Paying for a vacation using credit. The ideal financial approach to taking a vacation is to save up for it. You need to have some forward planning so you can pay for it in cash. According to Creditcards.com, about 15 % of consumers put their vacations on their credit card. This is not advisable. The only time it is okay is when you intend to use it for the rewards and you plan to pay the statement in full when the billing comes. But if this has become a habit and you just deal with the bill when it comes at the end of the month then you better reassess your lifestyle. There is a good chance you are spending more than what you are earning. Refinancing to lower down payment. There is nothing wrong with refinancing to take advantage of a lower monthly payment. In fact, this is a great way to manage your budget. But if you are doing this to free up space to purchase items in your “wants” list then you need to think things through. While it is true that you are able to lower down monthly payment if you have a better credit score or the interest rate market is low, you need to understand how it works. You are essentially spreading the payment over a longer period – that means you are paying more on interest as time goes by. This situation can put unnecessary stress on your finances without you even knowing it. Choosing a 30-year term mortgage. This is a great option in mortgage loan because it allows you to stick to a lower monthly payment. However, if you only want a lower monthly payment because you need more funds for are forcing the issue to make space for expensive hobbies or trying to keep up with Joneses then you have another thing coming. You are definitely prioritizing your lifestyle and undoubtedly living beyond your means. This is the simple fact that you are putting your finances in peril because you are more concerned with your wants rather than your needs. Paying for an overdraft fee. One of the clear signs that you are already spending more than your budget is when you had to pay an overdraft fee in the last few months. This means that you are not able to manage your budget and that you are not on top of your fund level. You are also losing money in the process because that amount that you had to pay up for the fee could have been used to increase and strengthen other funds in your budget. It could have gone to your reserve funds, retirement fund, investment account or even an ice cream date with your children. Going over your credit limit. You are living beyond your means when you are going over your credit limit. That amount is not a suggestion but a cap on your card use. It is meant to protect you from getting into unmanageable debt as well as protection for your lenders in managing risk. This can also affect your credit score because the way you utilize credit has an effect on how your report is put together and scored. If you are decided on getting your finances in order, here are a few things you can look into to get you started and pointed in the right direction. Understand the importance of budgeting. According to a study done b Gallup, one out of three Americans prepare a detailed household budget. The rest, which is the majority, fail to practice this. If you want to stop living beyond your means, you have to use a budget and to follow it like your life depended on it. This is the only way you can monitor if you are living within your means or not. Set long-term financial goals. Setting financial goals is a great way to give your financial life some direction. If you have goals, your decisions will be aligned with each other. Find a way to make your money work for you. Compound interest is your friend. If you want to grow your personal wealth, you need to understand how this type of interest work. It can increase your finances – so make sure you learn how to use it to your advantage. Question: What does living beyond your means mean? Answer: This simply means you are spending more than what you are earning. Your monthly expenses go beyond the money coming in through your income. Question: What to do when you are living beyond your means? Answer: You need to identify what makes you spend more than your income. Is it because of wrong lifestyle choices? Or maybe you are paying for a lot of unnecessary things. Analyze your expenses to find out what makes you spend the way you do. Once you identify the cause, you need to stop it. Question: How do you avoid living beyond your means? Answer: Knowing your financial capabilities is the first step. If you know how much you can afford, you can base your decisions on that. 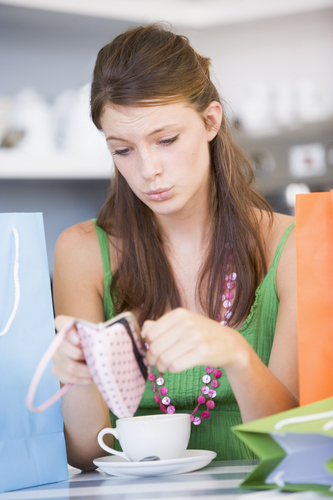 This will help you stick to the money coming in and avoid overspending. Question: What are the habits that will make you live beyond your means? Answer: Budgeting and smart spending are two of the most important habits that you need to implement. Before you buy anything, make sure it is a necessity – and not something you are buying just because it is on sale. Question: What tools can you use to avoid living beyond your means? Answer: There are many tools that you can use. In fact, there are financial apps that you can use to monitor your finances. The most basic of them all is a budget plan.